'n Vrywillige, informele groep wat maandeliks vergader om die uitruil van kennis en vaardighede oor navorsing van voorsate aan te moedig. We speak English and Afrikaans. Lidmaatskap is gratis. 28 Julie 2018 : Bekende en Onbekende genealogiese webwerwe word bespreek. 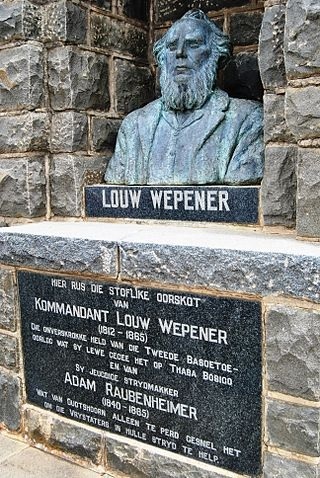 Louw Wepener was a farmer and military leader in the Orange Free State who was killed on the 15th August 1865 during the Second Orange Free State-Basuto War at Thaba Bosio, while trying to storm the mountain stronghold of Moshoeshoe I.
Lourens Jacobus (Louw) Wepener (21 July 1812 - 1865), son of a German Immigrant Frederik Jacobus Wepener and a Cape Colony woman Johanna Maria Erasmus, was born in Graaff-Reinet, where he grew up with his uncle Lourens. He was most probably christened by Rev. Andrew Murray of the Dutch Reformed Church. He was first married to Hester Susanna Nel and then to Hilletje Maria Levina van Aardt. Together they had nine children. When his brothers accompanied the Great Trek, he remained in the Cape Colony, where he participated in the three Frontier Wars (1834 to 1853). As Acting Field Cornet, he already displayed bravery bordering on impetuosity. He settled on the farm De Nek, district Aliwal North, in 1850 from where he participated in the Eighth Frontier War (1850 to 1853) en was promoted to Commandant as a result of his outstanding leadership. His sympathy was with the young Free State Republic and when the Cape Authorities established equality between pandour and colonist, he migrated to the Free State where he bought two farms in the Bethulie district, namely Constantia and Moordernaarspoort. 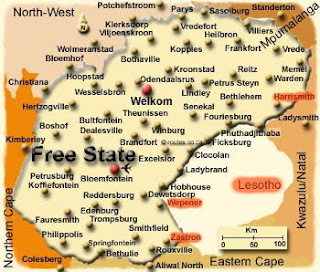 The conflict between the Basotho people and White settlers in what is now the Free State/Lesotho area, consisted of three wars (1858-68). The purpose of these three wars was the establishment of territorial rights in the area between the Caledon and Orange Rivers; from present day Wepener to Zastron, and the area north of the Caledon River, which includes present day Harrismith and the area further westwards. The Free State–Basotho Wars were a series of wars fought between Moshoeshoe I, the ruler of the Basotho kingdom and the Orange Free State of the Boers. These can be divided into the Senekal's War of 1858 and the Sequiti War, which included two conflicts, in 1865−1866 and 1867−1868, separated by a short armistice. The wars resulted in the Free State acquiring large tracts of land from the Basotho and the Basotho eventually accepting annexation as a part of the British Empire and being placed under Crown protection. 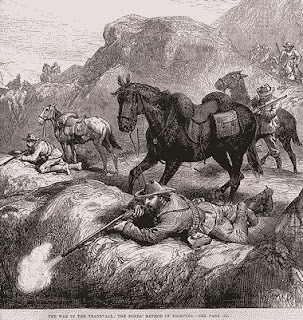 Shortly after his arrival in the Free State, Louw Wepener was appointed Acting Commandant and during the second Basutho War of 1865, he displayed his military ingenuity when he came forward with a new plan of campaign by bombarding the Basutho Mountain fortresses with muzzle-loader canons, while his burghers climbed the steep mountain sides under cover of the canon fire…! In this way he and his troops succeeded in over powering the one fortress after another, until they re-joined with the main force at Thaba Bosio. After the first attack on this almost impregnable mountain fortress of Mosjesj on 8 August 1865 failed, the next attack on 15 August 1865 was executed. Comdt-Genl. 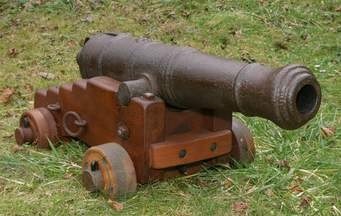 Fick gave Wepener, with 500 men, permission to storm the mountain gateway from behind the French missionary post, backed by a few cannons. The Basotho warriers tried to stop the attack by rolling big boulders down the slope of the mountain. 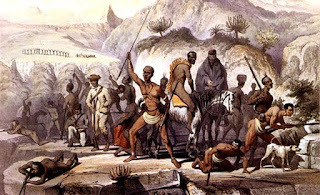 After battling to climb the almost vertical cliffs for an hour and a half, Wepener and his hand full of reliable men, reached the mountain gateway. In the late afternoon the fearless Wepener decided to stand up to the superior numbers of the enemy with his handful of burghers, armed only with pistols. 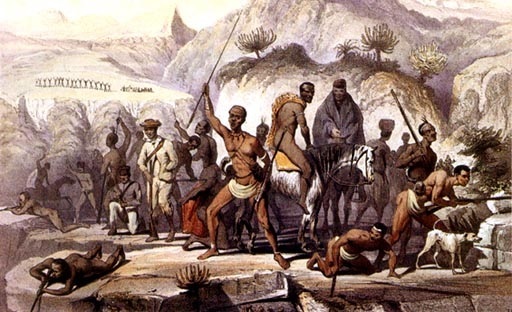 At the first two entrenchments they succeeded in driving the Basotho warriers back, but at the third called Khubela Pass, Wepener was fatally wounded. Mosjesj was so impressed by Wepener’s bravery, that he ordered his warriors to cut out his heart and roast it so that each young captain could eat a small piece thereof. His mortal remains were initially buried on the summit of Thaba-Bosiu by Dr Prosper Lautré (1818-1893) of the Paris Evangelical Mission Society. In 1866 his son met Moshweshwe (c.1786-1870) un-armed and was taken to the grave of his father, after which he exhumed the remains of his father and gathered them into a bag and took them back to the family farm ‘Constantia’ located about six kilometers west of Bethulie for reburial. 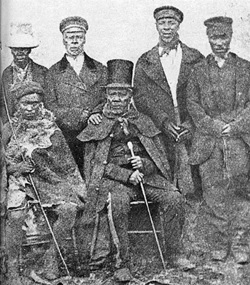 During the short armistice which followed the War, Moshoeshoe again renewed his entreaties to Sir Philip Edmond Wodehouse, Govenor of the Cape Colony (1861-1870), for protection. In this hour of crisis, Wodehouse finally secured the permission of the British Cabinet to annex the country. On 12 March 1868, Moshoeshoe's prayer was granted, and by proclamation of Sir Wodehouse, Lesotho became a British territory. 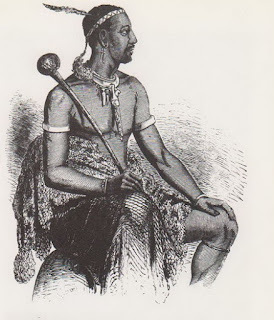 Moshoeshoe died in 1870 soon after seeing his country saved. He was buried, as have been nearly all principal chiefs since, in the graveyard on the summit of Thaba-Bosiu. 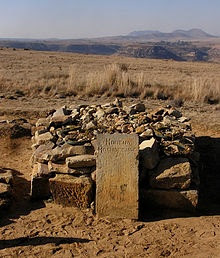 A monument for Wepener was erected at his burial site on his farm Constantia, district Bethulie in the Free State (undated, but presumed to be of the 1930s and of Moerdijk’s design). His mortal remains were once again exhumed and then reburied under the Monument. This marks his final resting place. Wepener was honoured when the town of Wepener was named after him. It was founded in 1867 on the banks of Jammersbergspruit, a tributary of the Caledon River. The Jammersberg (Mountain of Sorrow) towers over the village. Regiment Louw Wepener (since disbanded) as well as one of the local schools, were also named after him. There is also a Monument erected in honour of Louw Wepener in front of the City Council building, Wepener . 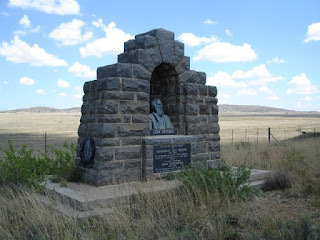 On the N6 to Aliwal North, there is a little Memorial in honour of Wepener, which is in a state of disrepair. Two military awards were also named after him : the Louw Wepener-decoration (1952-1975) and the Louw Wepener-medal (1967-1975), which were issued by the South African Defense Force to members for courageous or heroic deeds in saving lives. A. The Louw Wepener-decoration, post-nominal letters LWD, was instituted by the Union of South Africa on 6 April 1952 during the Tercentenary Van Riebeeck Festival. It was initially awarded by the Monarch of the United Kingdom and the Commonwealth realms and from 1961 by the State President to members of the South African Defence Force for acts of most conspicuous courage or greatest heroism in circumstances of great danger, and was primarily a non-combat decoration. The decoration was discontinued on 1 July 1975, when a new set of decorations and medals was instituted. Only seven awards were made, the first in 1969 and the last in 1974.
mountain peak of Thaba Bosigo with two men on horseback at its foot. Below the horsemen are the words "THABA BOSIGO, 1865" and around the circumference are the words "LOUW WEPENER" at the top and "DECORATION • DEKORASIE" at the bottom. The reverse has the pre-1994 South African Coat of Arms, with the decoration number impressed at the bottom on the rim. Specimens that were minted and awarded before South Africa became a republic on 31 May 1961, had Queen Elizabeth's royal cipher (E II R) above the Coat of Arms. 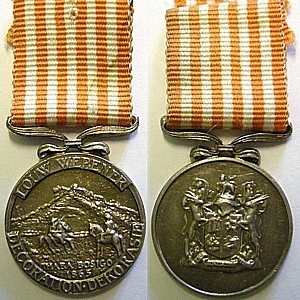 The Louw Wepener Decoration ribbon is 35mm wide and orange, with five white bands, all 3.2 mm wide and spaced 3.2 mm apart. A Bar to donate a subsequent award for a further similar deed of bravery is 35 mm wide and in silver, with the encircled letters "LWD" in the centre. When only ribbon bars are worn, a recipient of a subsequent award would have worn a silver button with the encircled letters "LWD", 8 mm in diameter, on the ribbon bar. No bar to the decoration was ever awarded. B. The Louw Wepener-medal, post-nominal letters LWM, was instituted on 20 October 1967 as a second-level military decoration for bravery in addition to the existing Louw Wepener Decoration. It was awarded by the State President to members of the South African Defence Force for courageous or heroic deeds in saving lives. It was discontinued in 1975 when a new set of decorations and medals was instituted. Only 7 LWM’s was awarded, the first in 1969 and the last is 1975. No bar to the medal was ever awarded. The Medal could be awarded to all ranks of the South African Defence Force, or serving with or rendering service to the Defence Force, for courageous or heroic deeds of self-sacrifice in saving lives in the presence of personal danger, or deeds performed in the execution of or beyond the call of military duty and for which other purely military awards were not normally made. A Bar could be awarded for a further similar deed of bravery. The Louw Wepener Decoration is a bronze medallion, 38 millimetres in diameter, that depicts the mountain peak of Thaba Bosigo with two men on horseback at its foot. Below the horsemen are the words "THABA BOSIGO, 1865" and around the circumference are the words "LOUW WEPENER" at the top and "MEDALJE • MEDAL" at the bottom. The reverse has the pre-1994 South African Coat of Arms, with the medal number impressed at the bottom on the rim. 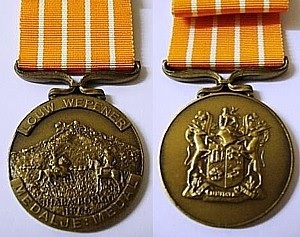 The Louw Wepener Medal ribbon is 35mm wide and orange, with four white bands, all 1.75 mm wide and spaced 5 mm apart. A Bar to donate a subsequent award for a further similar deed of bravery is 35 mm wide and in bronze, with the encircled letters "LWM" in the centre. When only ribbon bars are worn, a recipient of a subsequent award would have worn a bronze button with the encircled letters "LWM", 8 mm in diameter, on the ribbon bar. No bar to the decoration was ever awarded. Sien "Byeenkomste" vir inligting oor ligging en padkaart en "Jaarprogram 2016 oor inhoud van byeenkomste. Select your choice of language by clicking the down arrow below. Translations are computer generated therefore some grammatical errors will occur. Afrikanervroue ‘was getrou aan mans’.